Keltic Lodge at the Highlands is widely regarded as the premier resort in the Maritimes, and among the best authentic experiences in Canada. It delivers the perfect getaway you’re looking for, with 120 rooms, multiple styles of accommodations, and a price point for every budget. 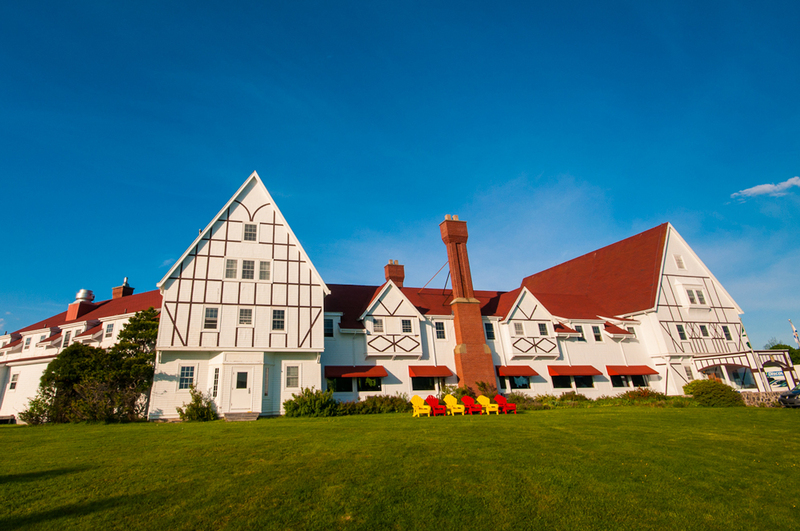 The historic 1950’s Main Lodge is a throwback to bygone days, Taigh Corson (Corson House in Gaelic), offers beautiful newly renovated guestrooms, and comfortable loft suites. The four Courtyard Suites (Argyle and Montrose) each feature two private bedrooms, a spacious living room and a private deck. Taigh Thompson offers two luxury one bedroom suites overlooking the first tee. Our two and four-bedroom cottages feature cozy fireplaces and spacious private verandas with fantastic views. The classic Keltic Lodge, which was opened in 1951, is a throwback to the era of railroad hotels present in other National Parks. All twenty-eight rooms, feature the original hardwood floors and a King or Queen size bed. There are four Junior Suites, which offer an additional sitting room with pull out couch. Within the Lodge’s peaks, are a pair of two bedroom Executive Suites, with large sitting areas and dining tables. The Purple Thistle Dining Room, the Highland Sitting Room, and the Gift Shop are all on the main floor and accessible from the Lobby. Formerly known as The Keltic Inn, this building was completely modernized and renovated in 2016. Conveniently located beside The Spa, and steps from the Arduaine Restaurant, there are a mix of large rooms with two double beds, and equally large rooms with king size beds. All rooms boast generous windows, to capture incredible views, but the most breathtaking vistas are of Cape Smokey in the Ocean View rooms. All ground floor rooms have outdoor patios, accessible from each room. Brand new suites were added during the renovation – four two bed loft suites, and two studio suites with King beds and pull out couch. Taigh Corson is named in honour of Mr. and Mrs. Henry Corson, who were friends of Alexander Graham Bell, who bought this wondrous piece of property, and built the original Keltic Lodge (circa 1910) as a summer retreat from the heat of the city. For a truly unique Cape Breton experience, there are a collection of two and four bedroom cottages available. Located between the Main Lodge, and the Middle Head hiking trail, the cottages are located ocean-side. The buildings are rustic, but the beds and furnishings match all the other rooms on the property. All cottages have shared fireplace sitting rooms, and verandahs. The cottages are perfect for families, groups, and those who want a glamping cabin experience. This building—built in the 50s—was the house of the original Property Maintenance Manager of Keltic Lodge, and more recently the Lodge General Manager. These suites are named in honour of the late Stanley Thompson, Canada’s greatest Golf Course Architect, and designer of Cape Breton Highlands—consistently rated one of the top five public courses in the country (his statue stands at the nearby 1st tee). In 2016 the residence was re-imagined as Taigh Thompson, and offers two one bedroom luxury suites overlooking the first tee. The lower suite includes the use of a private, fenced, backyard, while the upper suite boasts a deck with panoramic views of Cape Smokey, Ingonish Beach, Mount Franey, and Cape Breton Highlands Golf Course. The Sunset from this deck is certainly something to write home about. 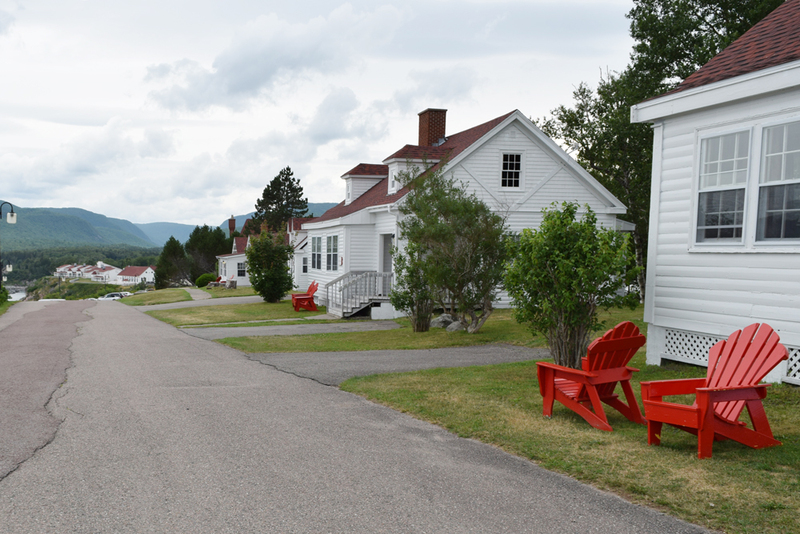 These 1950s buildings, were originally known as “The Boys Residence”, as summer staff often live on site at Keltic Lodge. 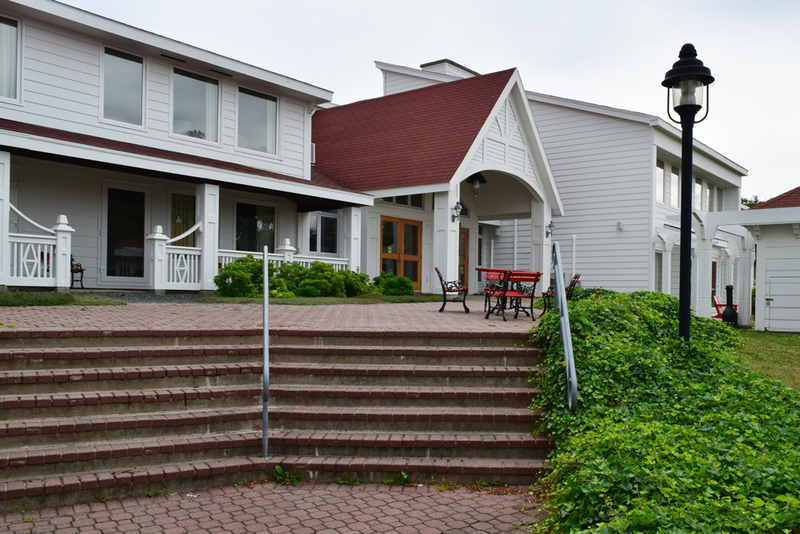 Among the thousands of former Keltic staff, is world renowned songstress Anne Murray, who stayed in the nearby Girls Residence, which is still in use for staff. No one would recognize these buildings today, as they were also completely renovated in 2016. Argyle and Montrose feature four modern suites, each with two private bedrooms, a spacious living room and a private deck. If you have the choice, the view of North Bay from the north suites is a vacation all by itself.